I’ve never been a huge fan of peas. Cooked peas especially. As a kid I spit them out. As a teenager I figured out I could swallow them whole as long as I had a glass of water. As an adult I’m still not a huge fan, but they certainly have their time and place. Spring is one of those times. 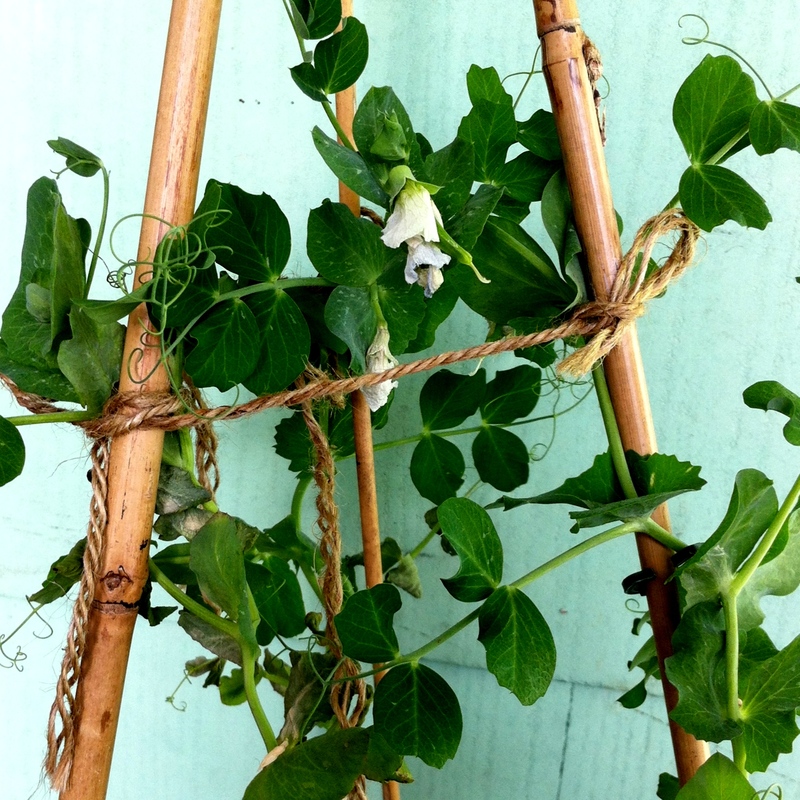 A perfect spring pea just out of the pod in the garden is other worldly. This year I decided it was time to learn to make pea soup. I went to the best sources I know, a relative and The New Basics Cookbook. (As a sidenote, if you don’t have this cookbook I strongly suggest it. I was given my copy in 1995 by my, now, mother-in-law and while it is falling apart it is an absolute no fail “go-to” kind of book.) Finding a couple of recipes there, I compared them with various others and started creating. 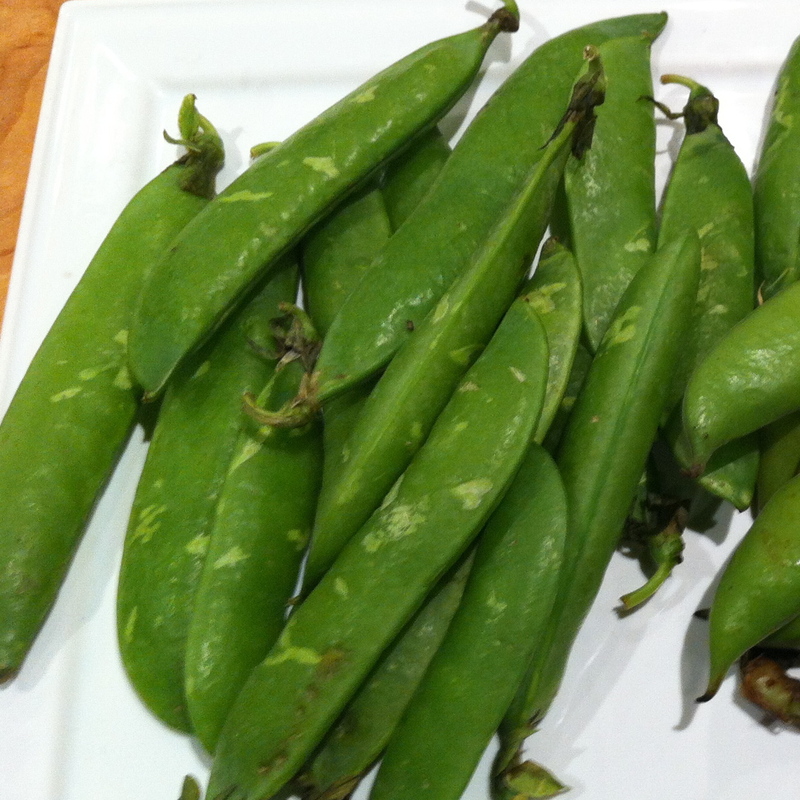 The reality is, if the peas are fresh there isn’t much need for embellishment or spicing. * Note: If you are trying to minimize your dairy you could easily eliminate the milk and add some more stock. Melt the coconut oil in a large stock pot and add the chopped onions. Cook gently until soft but not crispy. Add the peas, tarragon and stock. Cook at a medium temperature until soft. About 30 minutes. 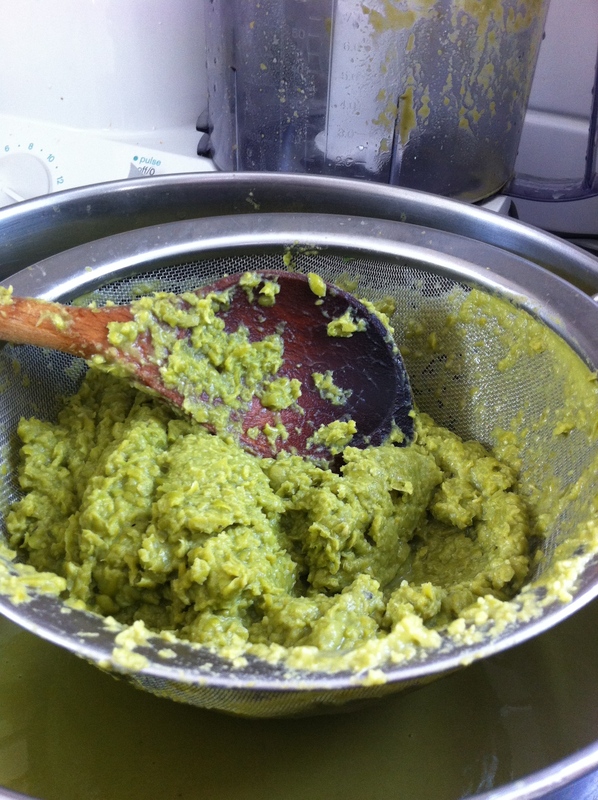 When peas are soft, let cool a bit and then pour soup into blender. Puree. Pour blended soup through a sieve (see picture above). Set aside the pea husks for another use and return the strained liquid to the soup pot. If using, add the butter, cream/milk and wine at this time. Salt and pepper to taste. 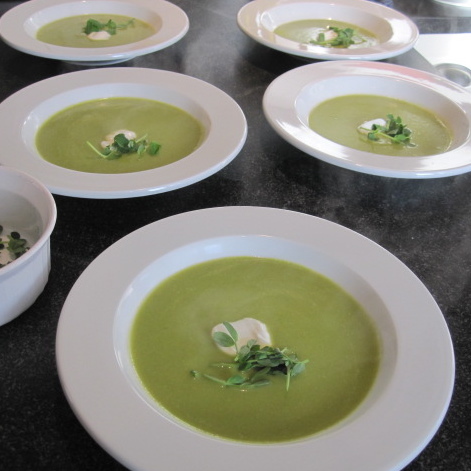 When serving place a dollop of sour cream or creme fraiche and some fresh pea shoots on top. Enjoy, and peas on earth. This entry was posted in Cookbooks, Cooking, Food, Herbs, Recipe, Soup, Vegetables, Vegetarian and tagged butter, coconut oil, cream, onion, peas, sea salt, stock, tarragon, white wine by mostlynoodles. Bookmark the permalink.